While you might assume that HR across the pond looks different, there are actually a lot of similarities—especially when it comes down to the fundamentals. Wherever you are in the world, business is business and people will always form the foundation of any successful venture. Motivation, engagement, talent planning, and staff retention are top priorities regardless of which side of the Atlantic you’re on. HR in the U.K. makes up roughly one percent of the total employment market, and the Chartered Institute for Professional Development (who awards chartership to HR and learning and development professionals) has just over 150,000 members. HR is a growing profession in the U.K., and in recent years there has been considerable focus on employee engagement, training software, and even AI and robotics. Brexit will be a key priority for U.K. HR departments in the coming year, especially given that a recent CIPD survey found that 70% of employers are already finding recruitment challenging in the wake of the country’s aging population (it’s estimated that by 2031 nearly a quarter of the U.K.’s population will be aged 65 and over). The U.K. HR industry has also become increasingly focused on pay equity (the government requires companies to publish comprehensive reports on their gender pay gap), zero-hour contracts, increasing productivity, and effective HR technology. 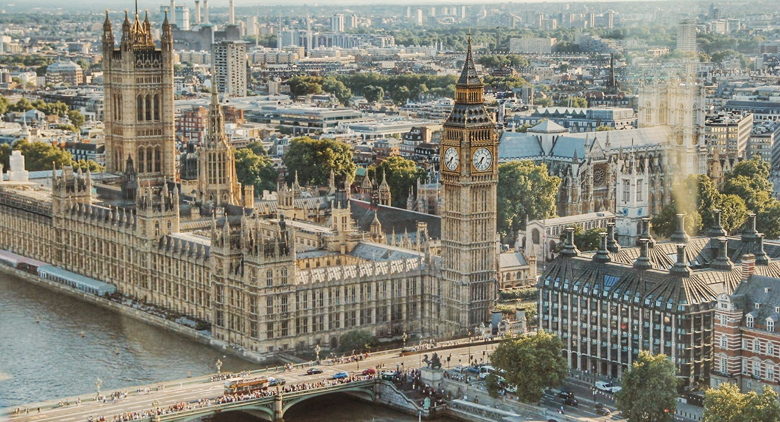 Unlike the U.S., which operates under local laws at state and city level, the U.K. has one set of laws, with minor differences between the region of England and Wales versus that of Scotland and Northern Ireland. There are many statutory employment laws in the U.K. For example, all employees are entitled to a written contract of employment, paid sick leave, paternity and maternity leave, and adoption leave. Almost all U.K. workers are legally entitled to over 5 weeks of paid holiday and must earn at least the national minimum wage, currently £7.83 per hour for adults over the age of 25. Additionally, there is a statutory maximum working time of 48 hours per week (although some companies ask employees to sign a waiver, opting out) and most U.K. employees have the ability to apply for flexible working hours. Employees who want to make a discrimination claim against their employer go through the employment tribunal rather than before a civil jury. Awards in the US can sometimes reach the multi-million dollar mark, whereas six-figure award sums are incredibly rare in the U.K. and usually range between £7,000 and £20,000. The Office of National Statistics has released figures showing that those who work in HR tend to earn more than the U.K. national average salary. Unsurprisingly, managers and directors held the highest wages, with men in director and senior roles taking home nearly £10,000 more than their female counterparts (£61,774 for full-time men and £52,115 for full-time women). Combined, the average salary for those in senior HR positions sits at £55,000, which is still £20,000 above what the average U.K. worker takes home in gross pay, and it looks even better for part-time directors, who earn more than double the average part-time salary. d women average £29,000 for full-time work. Their part-time counterparts, on the other hand, actually took home significantly more than average, making nearly £5,000 more than average. HR administrators were slightly lower on the earning scale, with men and women earning an average full-time salary of £22,000 and a part-time salary of £12,000. Part-time, administrators still earned more than the standard U.K. worker, and significantly higher than those in other industries. What’s more, HR administrators saw the biggest annual wage increase. Full-time HR administrator wages went up 5.9 percent and part-time wages a whopping 12 percent year over year. There is a wealth of HR opportunity in the U.K., and if you’re thinking of pursuing a career in HR on this side of the pond, consider these online HR courses to grow your knowledge of local best practices and regulations. Sophie Austin is content editor of www.findcourses.co.uk, part of the Educations Media Group.